I've gotten a little backlogged with photos, so it's time to catch up! ;) I have a quick post today featuring a newer brand, Liquid Sky Lacquer; who is quickly becoming hot on the scene with some gorgeous polishes! Sugared Berries is lilac holographic. I used 2 coats and no top coat. Currently this color is in stock on Liquid Sky Lacquer's online store. 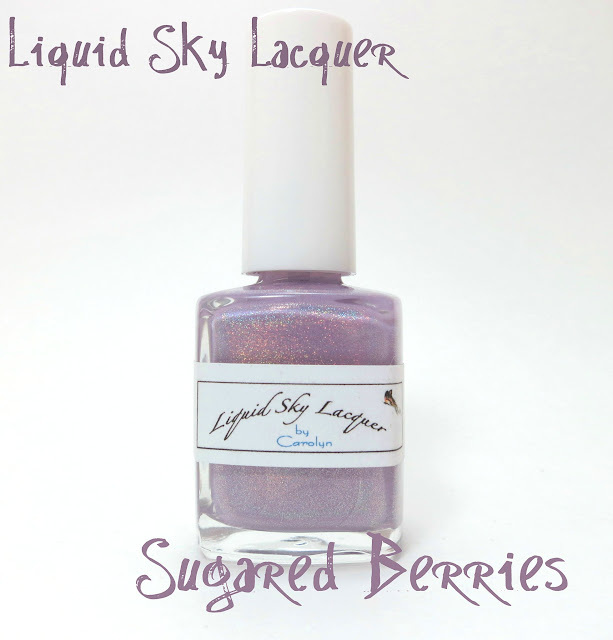 Make sure to follow Liquid Sky Lacquer on Facebook, Twitter and Instagram.